During excavations at the El Caño site, under the supervision of Panamanian archaeologist Julia Mayo between 2008 and 2018, several sumptuous tombs were discovered says an EFE agency report... They date between the years 700 and 1,000 and their unearthing is considered one of the most important finds in America. 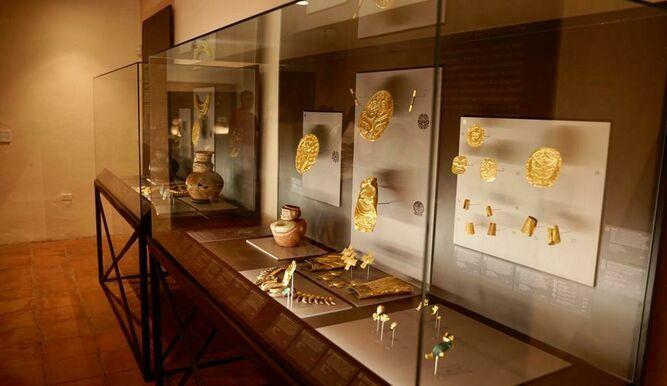 The director of the El Caño Foundation also said that they give the museum a product of incalculable value for the knowledge of the history and ancient cultures of the country learning experience. "The exhibition shows the Coclé society as a complex necropolis, well structured, generating a cultural wealth, and very impressive technique and art, "said the researcher. A rehabilitation project of the museum had the support of The National Institute of Culture, the National Secretariat of Science and Technology, as well as individuals and l businesses. In addition to the museum within the perimeter of El Caño, there are ceremonial basaltic columns (some of them carved) and the mortuary mounds of earth and funerary type. According to the Foundation, in 1973, the company that owns the land inadvertently destroyed several mounds while carrying out work for the sugarcane plantation, which motivated its inspection by researchers. which culminated with the creation of the Park and in 1979 the building that houses the museum.